First trip to Denali in 2017. The wolves and bears were waiting for us. 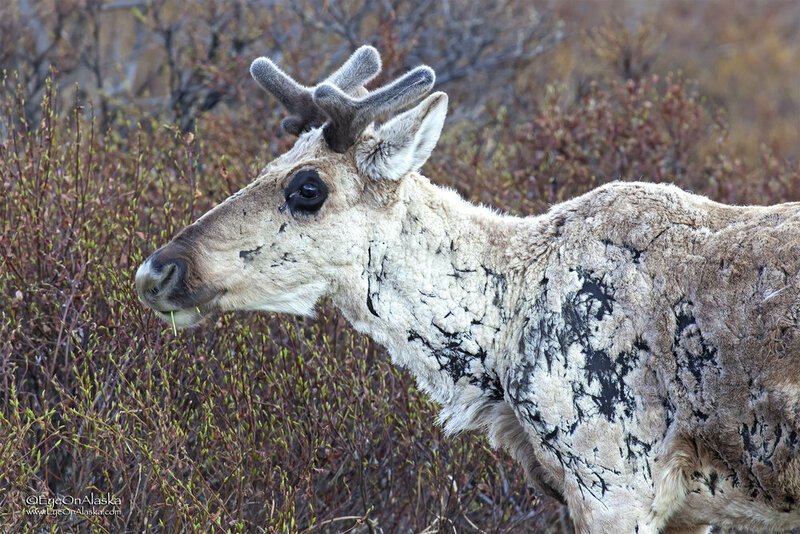 We headed up to Denali National Park and Preserve on Thursday, June 1st. The mountain was really showing off on the 5-hour drive up. We got to the Teklanika campground inside the park around 3 pm and immediately jumped on the mountain bikes and were going to head up towards Igloo Canyon, and then try to catch a bus further into the park. Well, the road was closed to bikes and foot traffic right at the Teklanika rest area because of a bear laying on a kill right off the road. So we tried something new this trip and took the very last bus into the park at 6:30 pm. 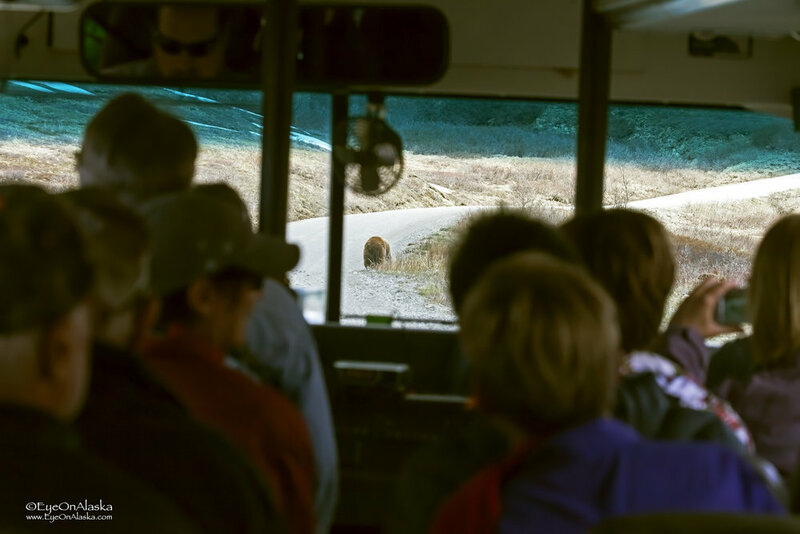 Taking the late bus turned into the thrill of a lifetime for us, because on our way back at 10 pm, right as we were heading into the Teklanika rest area, there was the bear crossing the road going back to its kill. And not a minute later, 3 wolves were walking up the road directly towards the bus! 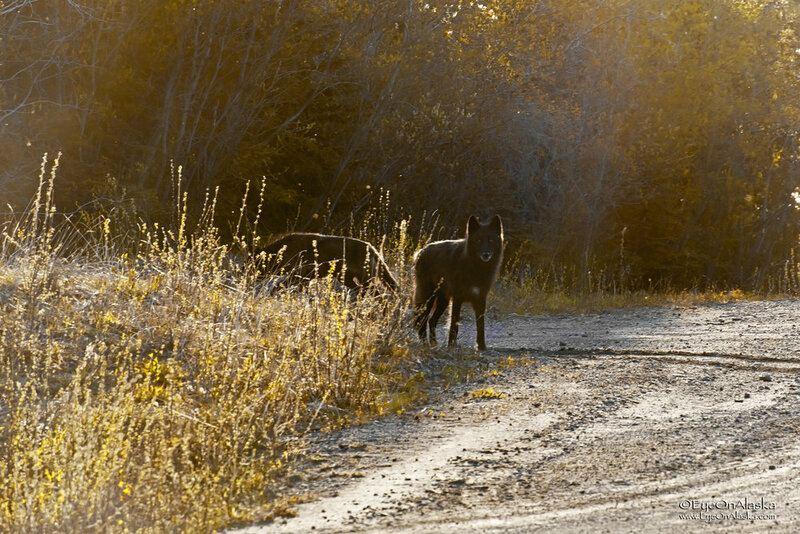 The photography conditions were horrible--shooting directly into the setting sun, but who cares, they were wolves! What an incredible thrill. The rest of the trip was just as good. 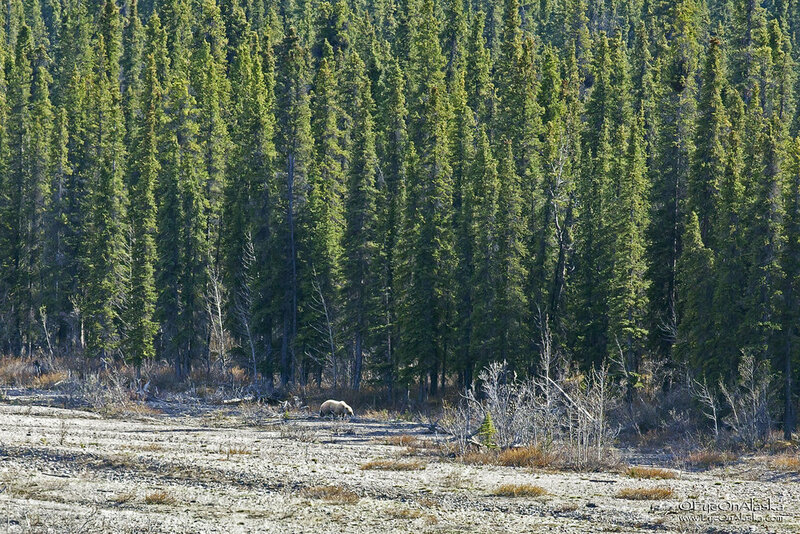 Bears everywhere, and mostly right on the road! Luckily this trip we were inside the bus heading to the top of a different pass instead of on the bikes, so these were all close encounters of the great kind! We both concluded that this ranks in the Top 3 trips to Denali we've ever had. So here are way too many pictures--as usual. Click on them for full screen and captions. Enjoy the trip!